A fabric made using a rib variation of the plain weave. The construction is characterized by having a slight ridge effect in one direction, usually the filling. Usually medium weight made in cotton and cotton blends. 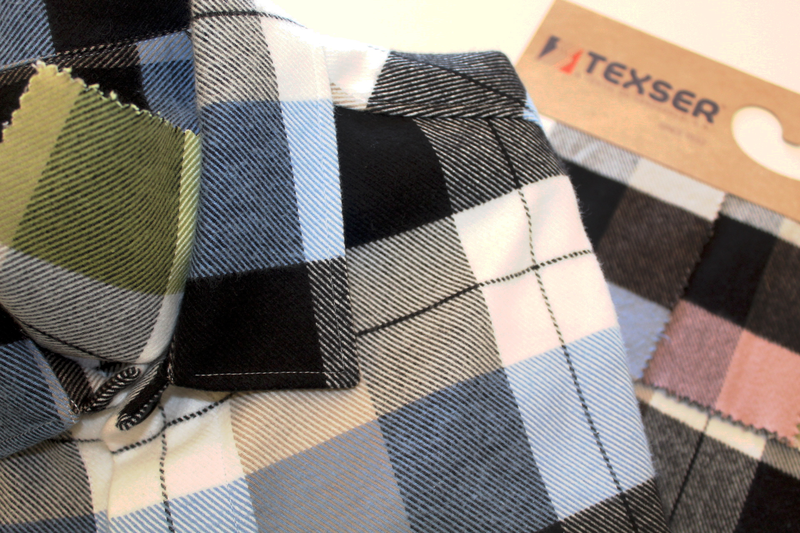 A common shirting fabric and the most weaved in Texser. 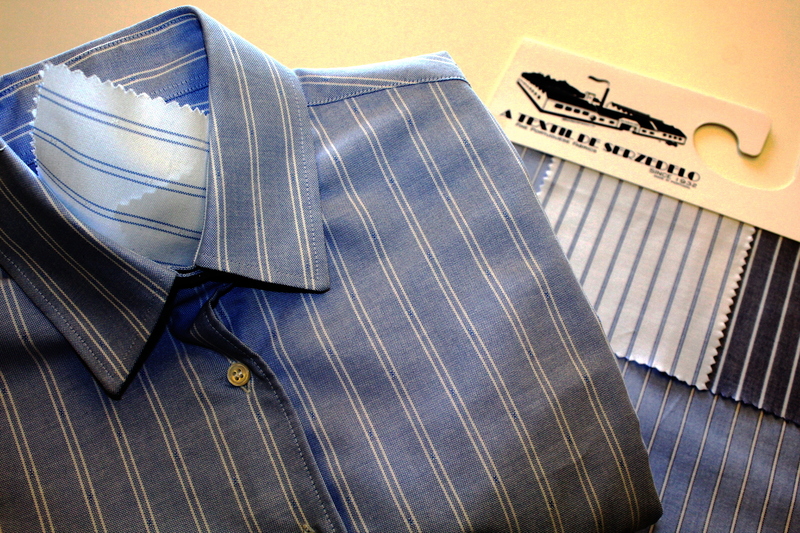 Generally, a cotton fabric of plain or twill weaves which has been napped on one or both sides for softness. 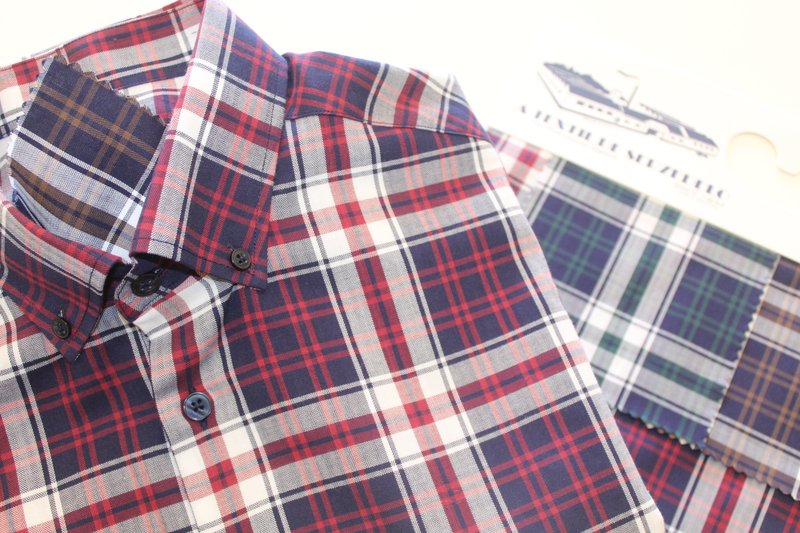 Since the 50´s the world´s finest yarn dyed cotton flannel has been manufactured in Portugal. Typically used for shirts and sleepwear. A soft lightweight woven cotton with manufactured fibers in a 2 x 1 basket weave variation of the plain weave construction. This fabric is used mainly in shirting’s. The traditional button down oxford shirt that is the ideal middle ground between sport and casual is an essential part of any man´s or woman´s wardrobe. A general term for a woven fabric made with a twill weave, e.g. a basic weave characterized by diagonal lines on the face of the fabric (denim, gabardine, etc). The fabric is woven by alternatively passing weft threads over one or more and under two or more warp threads to produce such diagonal lines. Other form of twill that usually we make is the herringbone. 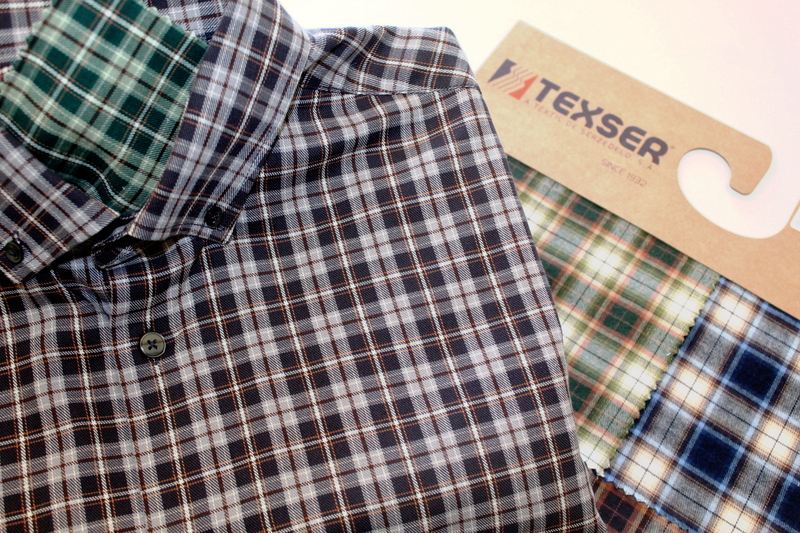 Seersucker is a cotton fabric with a name deriving from the Persian term “shir o shakar", which means milk and sugar. This fabric is made by what is called a slack-tension weave, where groups of yarn are bunched together in certain portions of the fabric to create a puckered, almost wrinkled look. In fact, it’s usually unnecessary to iron seersucker garments because they are supposed to look slightly wrinkly. 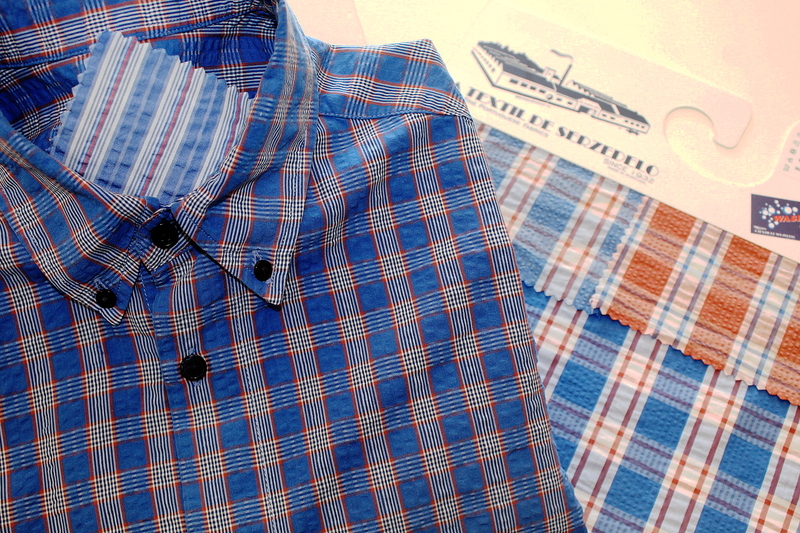 The puckering effect of the weave creates a wonderful feature in the shirts. This is a cool fabric to wear when the summer is here!